Villa Atena, thanks to its convenient location, is the perfect place from which you are conveniently close to all the attractions of this seaside resort (and we must admit that there are quite a few of them). In addition, from the Villa Atena you will be able to reach everywhere by bike from our rental store. Świnoujście, thanks to an extensive network of biking paths as well as border crossings, connecting it with German towns, is a paradise for biking lovers. But before we go on to discuss what to do and see in Świnoujście, let us tell you a few words about the city itself. The first thing that catches the eyes of visitors coming to our city, it's an absolutely unique location on three large (Uznam, Wolin, Karsibór) and forty-four small, uninhabited islands. Therefore, calling our villa-hotel with name of the Greek goddess of wisdom – Athena, can be somewhat justified, because Greece is also located on islands. Because of the geographical location of Świnoujście in the north-western tip of our country, its residents often jokingly say that "Poland begins here". 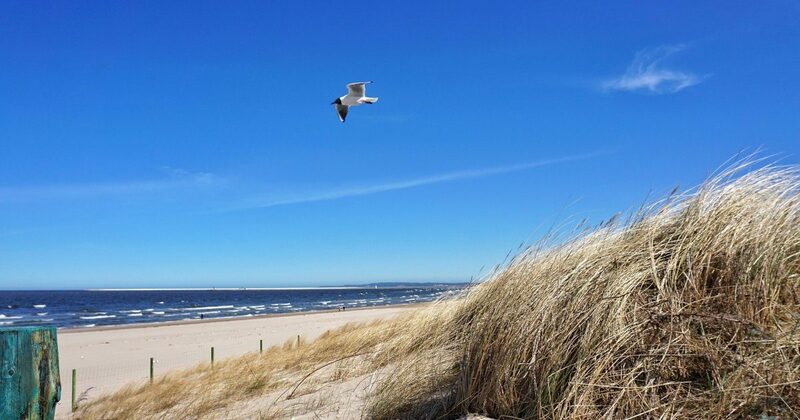 Many tourists associate Świnoujście with the town with the widest and the most beautiful beach in the whole Poland. However, there are other interesting attractions in the city.